The RERA Era: Should you buy property now? Is it the right time to buy residential or commercial property, now that we are in the era of Real Estate Regulation Act (RERA) passed by the parliament in March 2016? Is it the right time to buy residential or commercial property, now that we are in the era of Real Estate Regulation Act (RERA) passed by the parliament in March 2016? Can a property buyer expect protection from the new law should he/she decide to purchase property now? Let’s find out the reality on the ground. Under the Act, the states are required to notify the realty rules and set up Real Estate Regulatory Authority by April 30, 2017. 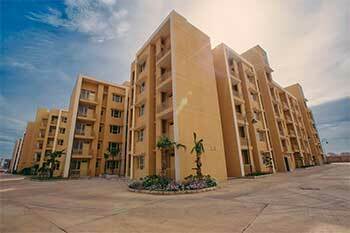 However, only 13 of the 32 states in India had notified the realty rules by April 30, 2017 and only one state (Madhya Pradesh) has set up the regulatory authority while nine states have set up interim authorities till date. Therefore, property buyers in states that have not notified the realty rules and have not set up the regulatory authority will have no protection under the new law and, in case of any dispute with the developer, they will have to seek redressal under the old law. However, for builders, developers and real estate agents, it is business as usual, RERA or no RERA. So how does a property buyer avoid being taken for a ride by unscrupulous developers and real estate agents? The Act allows the builders and realty agents a window of 90 days (1 May 2017-31 July, 2017) to put their acts together and get themselves registered with the Real Estate Regulatory Authority (RERA) of their respective state before July 31, 2017. Under the Act, all builders have to submit their plans and all relevant documents and get their projects registered with RERA and all real estate agents have to register themselves before the deadline. Hence, while buying property before 31 July 2017, the buyer will do well to enquire with the builder whether the project has been registered with RERA (provided the rules have been notified and the authority has been set up by the state) or has applied for registration. Similarly, if the buyer is purchasing the property through an estate agent, he/she should enquire whether the agent has registered or applied for registration with RERA. If the buyer does not get a satisfactory answer, it is better to defer buying the property for now and wait until July 31, 2017. From August 1, 2017 onwards, only projects and properties registered with RERA will be allowed to be bought and sold. In other words, buying and selling of properties and projects not registered with RERA will be illegal and punishable with fine and imprisonment. Also, agents not registered with RERA will not be able to do business after July 31, 2017.